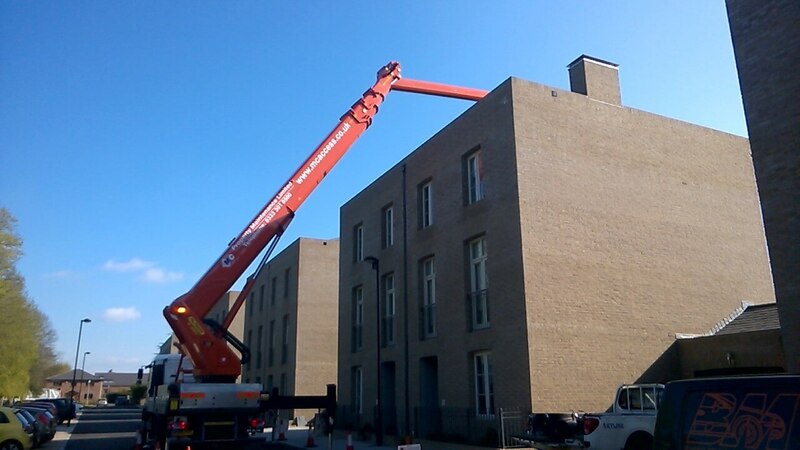 When asked if our Palfinger P480 could could reach over the three storey properties and work on the back gutter, we replied we have the perfect access platform for you. 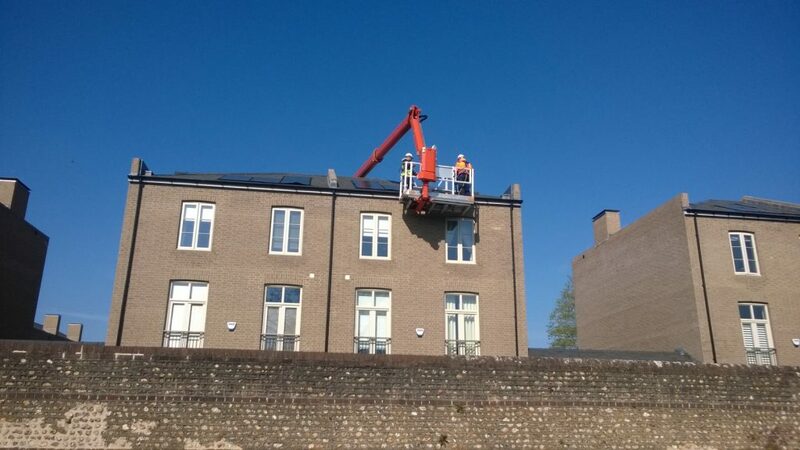 We assisted our client to repair 8 properties that day. Our operator was even happier as he caught the best of the weather.